25 years of experience, quality workmanship, long lasting results. Comprehensive waterproofing services at competitive prices. Protects structures from water damage due to leakage through roofs, decks, balconies, and elevated walkways. Seals hardscape surfaces such as driveways, walkways, courtyards, pool decks, planter boxes, fountains & ponds; prolongs their longevity. Protects below grade structural support elements: foundation and retaining walls, concrete foundation slabs, and footings. 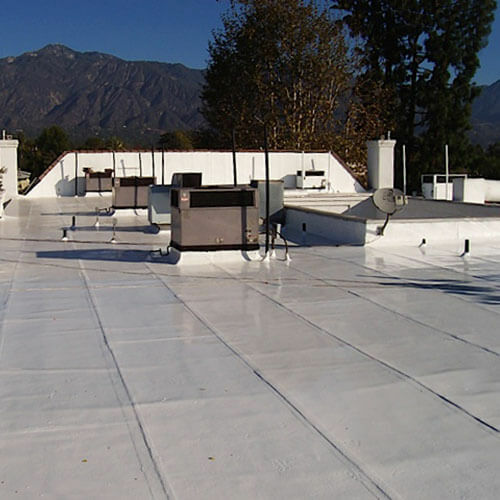 Tuff Kote Systems is the premier provider of commercial waterproofing services in Orange County and the greater Los Angeles region. We provide comprehensive above grade and below grade waterproofing, in conjunction with our general contracting division, General Contracting Group. We have over 25 years of experience in the commercial waterproofing industry, and possess the knowledge and expertise to diagnose and effectively resolve every type of moisture related problem in commercial structures, in both below grade supporting structural members, as well as above grade structural components. We can waterproof below grade foundation elements such as retaining and foundation walls, and concrete slabs and footings, protecting these vital supporting structural components from the adverse effects which can result from groundwater and surface water seepage. And above grade, we can waterproof roofing systems, decks, elevated walkways, and balconies, sealing them from leaks and protecting their associated structures from water damage. In addition, we can waterproof hardscape features such as driveways, walkways, courtyards, planter boxes, ponds, pool decks, and fountains, sealing them against staining and soiling, and prolonging their life spans. Water damage caused by leakage through roofs, decks, balconies, and walkways built over commercial structures can result in the need for costly repairs. And below grade, groundwater and surface water can corrode supporting structural members like retaining and foundation walls, footings, and concrete slabs, causing concrete spalling, structural steel corrosion, and even building settlement and the formation of cracks in commercial structures. 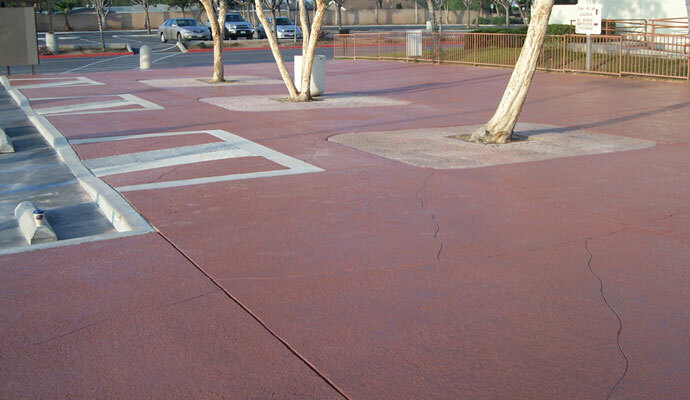 Improper landscape grading and poor drainage system design are often contributing factors in these problems, and waterproofing can effectively alleviate moisture problems in these situations. In addition, below grade waterproofing can also protect commercial structures from the development of mold and mildew, a common occurrence in commercial structures with below grade moisture problems, which can be the cause of significant structural damage within the building's envelope, as well as a cause of indoor air quality problems. Depend upon the experienced waterproofing professionals at Tuff Kote Systems to expertly diagnose and eliminate any above grade water leakage or below grade water seepage problems you are experiencing at your commercial property. We provide our competitively priced waterproofing services to all of Orange County and the greater Los Angeles region, and offer estimates throughout our service area. Contact us today. Tuff Kote Systems holds California State Contractor's License # 982528, and is bonded and insured. I have use Tuff Kote for about 7 years I refer them to all the other managers and Homeowners, they do excellent work and their employee's are neat and clean up on a daily basics I have nothing . . .